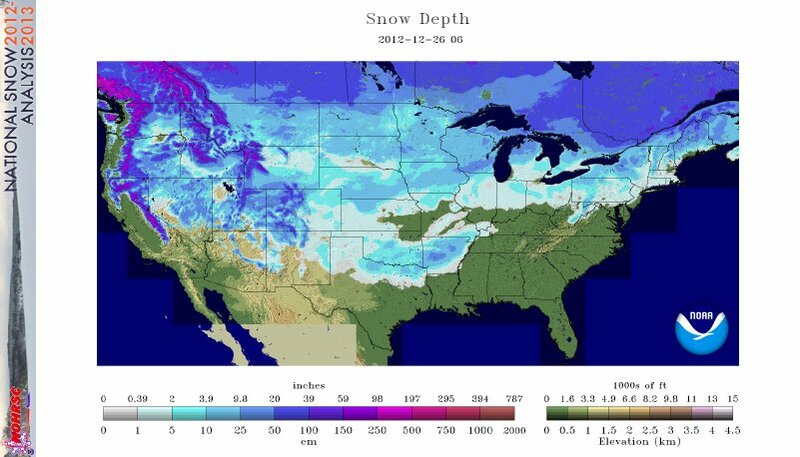 A Cool White Christmas – almost two thirds of the continental USA has snow cover | Watts Up With That? Weather is not climate. Duh. Remember those aerial images of the UK and Ireland totally covered in snow, ice and frost the past couple of winters? Those events were newsworthy enough, but this is on a whole other scale. Don’t worry. the warmth is over here for Christmas – the Met Office says so. Temp ATM a sweltering 50 F dropping to a warm sticky 42 F tonight. Siberia could do with some of it. -It is considered very bad form to discuss global warming during winter ! So there is snow on the ground in winter… So Watt? I hear this is set to be the warmest year ever for the US… and not by a small margin. When I flew across the country a week ago, the snow covered the ground between the Sierra Nevada foothills until we flew over clouds at the Nebraska/Iowa border. The snow was gone by the time we got to New Jersey, but Norway was covered, too, which they say isn’t guaranteed by Christmas. Oslo at least is pretty snowy at least. Hi Anthony, you gave Viner’s quote and the link but I think you should add the date he said it ahead of the quote for those who don’t go to the link. With record colds in Northern Russia (Siberia) and North America (Alaska) I would expect some uptick in ice covering in the Arctic. Can anybody fill me in on this? lts not just in the USA. There is also a large snow cover extent over northern asia, it looks like almost the whole of Russia is under snow cover. Au contraire mon ami, I would say that weather is the climate we are experiencing today. Jeez – you must be one of the sheeple that believes the ‘warmest eva’ type bulldust? Fine! Believe all you want! – but that means there is no need for you to be here at all – as clearly you are not able to be educated, or indeed, willing to learn or self educate – as several of your previous missives here attest (IIRC). I suggest you return to the ‘other’ sites, as all you are doing here is illustrating your own ignorance and the stupidity of the warmista mantra! Handwaving or shouting dogma here is pointless! I didn’t take any bait. But apparently you are waiting under the bridge like a troll with an agenda. Go ahead and keep preaching to people who already agree with you. Cheers. From the rest of your comments, apparently your audience lacks the critical facilities necessary for breathing. I have to wonder how accurate that map is they’re showing especially for seasonal. I live in the SWON(south western ontario) or smack in the middle of all the great lakes in a traditional snowbelt area, and it’s as green as anything here still. And when I was out driving between Windsor and Toronto yesterday it was the same. Though we’ll be getting 2-5″ of snow in the next few days. Maximum snow depth = 1351.5 inches (113 feet)? Where would that be? So, Shane, can you tell that to “Dirty Weather” AlGore and “30 year average of weather is climate” Hanson? Pretty please? One of the most deceptive parts of ‘Climate Science’ is the use of the “30 year average of weather” as a “climatology”. It is part of the very definition of “Climate Science” that it is weather just a 30 year average of it. Now, what makes that incredibly dumb is that we know there are 60 year cycles of the oceans (PDO / AMO) and thus weather. We know there are 179 year cycles of the sun and lunar tides, and thus weather. In reality, your climate depends on geology. Altitude, latitude, distance from water, land form (behind mountains is dryer). The Mediterranean has had a “Mediterranean climate” type for thousands of years, and will continue to have one. Even when, like a couple of years back, it snows in Marseilles or Paris has a hot summer. Even when the AMO makes them hotter for 30 years, then colder for 30 years. It’s all just weather. But, you see, the Skeptic side is not the ones with the “weather problem”. We know it’s all just weather. It’s the “climate scientists” who think weather is “climate” and furthermore, think it is getting hotter and snow will go away. THEY made the predictions / projections / guesses / hand-waving-shouting that said snow was going away. Snow hasn’t gone away. They were wrong. So since THEY set the rules that ‘weather over time’ can be used as the benchmark, WE get to keep trotting out the weather, and doing it over a long time, showing how foolish they are. Oh Boy! You are really going to keep trying to sell that “warm snow” meme eh? The GIStemp books are cooked. The NOAA / NCDC GHCN dataset is adjusted to the 9s… and Hadley has lost their data. There is just no way you can say how warm it is from that dreck. So look out the window, notice the snow records. See the glaciers growing (Shasta growing fast! Antarctica too!) see the fact that the weather is remarkably like it was in the 1950s just like the LAST warm to cold PDO / AMO flip. Eventually you will catch on that a “30 year average of weather” is bogus and just measures slope on a sine wave weather cycle. See, I’ve now lived a whole PDO cycle. So trying to tell ME that it is warmer now than it was when I was a kid is not going to work. It isn’t. I remember what it was like. Not only that, I talked to ‘old people’ when I was a kid. My Dad filled me in on the ’30s. It’s never been warmer than that since. He was in Iowa then. We visited during my lifetime and it’s not as hot as he described. No “dust bowl”. The “climate science” folks are busted. The snow shows it. Oh, and remember that 2009 was a high snow year too. First time in 30 to 60 years in many places. Now we’ve got another similar year. This as we come off the TOP of this solar cycle. You have another decade of “lower than this” to look forward to. Get used to it. There’s about an 18 year lag from equator to Alaska as the water temps move up. As ‘the flip’ was about 1998, in about 2016 the arctic starts getting colder water in from Alaska. Don’t know the lag on the Atlantic side, but as the cool Atlantic slows the gulf stream, that warm source falters. ( I’ve got an animation of it showing a slowing). So my guess would be that about 2016 from both sides and then it ices up hard. Russia is having “coldest in 30 years” and “coldest in 50 years” kind of weather. China is having a lot of snow too. While the present map is only up to the 18th of Dec, you can see that the N.H. overall is over the “climatology” extent. Well, maybe so, maybe no, but if you want me to believe your claim about the “warmest year ever” you’ll have to provide a citation. At this point in the climate game, I don’t trust anyone. I remember earlier in the year BBC reporters here in UK walking up & down near dried up river beds quoting “because of climate change” then shortly after it started to rain & boy has it rained & has never stopped raining since. This is now apparently due to “the warming atmosphere” & ” The Experts” say we will have to get used to it, as we will see more of this in the future. The BBC environment section & a great deal of the media are so full of it. Who the hell co-ordinates all this. Sky news a couple of weeks ago had a brief early morning report of how useless & waste of money wind turbines were. How refreshing I thought.. but within a day the replay facility was removed. Who has the right to do this … Govt climate bodies ? Will we ever get balaced reporting or is the politics just too strong & twisted. As if we all don’t know it yet – if there’s no snow and it’s warm, then it’s global warming. If there’s snow, then it’s because of warming in Arctic causing increased moisture contents which is caused by global warming. And if it’s freezing then it’s extreme weather which is again caused by global warming. These guys cover all bases. Of course, nothing of it is about science. Perhaps the snow job will be undone by actual snow. Here in Sweden Stockholm had the third White Christmas in four years. The last time that happened was in 1916-19, and as a matter of fact all of Sweden was snow covered on Christmas Eve (which is the big Holiday here) for the second time in three year, and that hasn’t happened since the nineteenth century. Would that be the warmest year ever after Hansen and NASA get through making “adjustments” to make that happen? 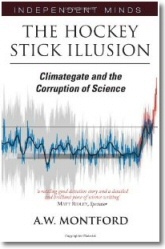 Back in the 70s I was taught in college that tampering with the data was scientific fraud. Now it seems to be a career enhancer. Heinlein said it best: Climate is what you expect. Weather is what you get. Bad news, my friend. You indeed took the bait, and we all sat here and watched you take it. Now, you can argue that you didn’t want to take the bait. You can argue that Anthony is a terrible, awful man for putting out the bait. You can argue that the bait was so irresistible that you had no choice. You can argue a whole host of things, you can spin it however you want. But you can’t argue that you “didn’t take any bait”, amigo, that ship has already sailed, and we all sat here and watched it leave. Finally, I’m still waiting for your citation for your unsupported claim about the temperature of the year 2012. PS—You start by taking the bait, then you have the gall to claim you didn’t take the bait, and now you’re going to diss the audience here, saying that they lack “the critical facilities necessary for breathing”? Did you know the concept of a White Christmas was thought up by Charles Dickens, when the first decade of his life there was a ‘White Christmas’ every year! Or is it an urban myth? Climate “scientists”, making the rules up as they go along. Quite a system they’ve got going. Back in the 70s I was taught in college that tampering with the data was scientific fraud. Now it seems to be a career enhancer. They don’t tamper with it, they correct it for the errors caused by instrumentation, station moves and an uncooperative Mother Nature, who doesn’t have a PhD in Climatology (so her views don’t count). When Jim Hansen was called on his “Y2K” error, which made 1934 the hottest year in the U.S., he replied (paraphrasing) that the U.S. was less than 2% of the earth’s surface, and so it didn’t matter. just as Curry explained. low arctic sea extent contributes to higher NH snowfall in the winter. What looks to be part of the answer has been the jet stream. Twice during December it has pushed up from the south, moved up across the pole and then pushed back down south again. What this has the effect of doing is pushing up warm air up into the Arctic and then pushing down cold Arctic air across the NH. lts this that has been part of the reason for the very cold winter weather in Russia and Canada. Happy Christmas from Wingham Australia. It’s been dry here this spring but we’ve just had 60 mm in the past fortnight so the land responds and the grass grows. BoM forecast a very hot summer and we have had several warm days followed soon by cool southerly changes. It is hot in the West but that’s normal. BoM are desperate for a hot year. They were caught out by Jo Nova and friends and had to rejig the temperature record so now they have to earn respect again. Not likely with the same crew and same philosophy. Every hot day the alarmists are out and about and the corrupt press give them air time and column inches. Cool days and silence. No cyclones near Aus so far although there was a severe one in Fiji. Problems coming for the alarmists I fear and it couldn’t happen to better scam artists. Happy New Year to all at WUWT. Success in 2013. Northern Hemisphere snow is purely a local phenomenon. No sign of any snow here. We just had a few “record hot on this day” (according to the BOM) days. Coolish over Xmas, but nice and sunny now. So yes, the Global Warming is keeping Brisbane warm. So winters must have been dryer (minimal snowfall) back in the 1970s when the arctic ice extent was higher…right? (Of course, global cooling was all the rage back then – who knew??). Over at the Guardian, there is a piece by the arch believer in warming, George Monbiot, which has him visiting hospital after an accident in icy conditions. Mother Nature’s Response to the Global Warmers. Ooooh, but it is so much more complicated than that. I grew up on the Canadian prairies, noted for their harsh winters. One of the things that I noticed over the years was that years with a lot of snow, particularly if a significant amount of it arrived early in the season, were coupled with early springs. Winters with little snow often had late springs where winter just seemed to “hand on” much longer than usual. This always seemed counter intuitive to me until an old farmer explained it. Snow makes an excellent insulator. So lotsa snow = less cooling of the earth beneath the snow. Not much snow = more cooling of the earth. The heat capacity of just the first few feet of dirt is high enough that this makes a substantive difference to how quickly the snow melts in the spring and the earth warms to the point that it no longer suppresses air temps. Some day when I’m motivated enough I\d like to see of the snowfall records and arrival of spring (how would you define it? ) actually correlate as well as my memory and that of old farmers. Yes, Yes, confess, you took it hook,line and sinker. Genuine full-ripe stinkbait. That you for that. After BOM fine-tuned, adjusted,cooked, corrected, homogenized and tweaked the data, ‘records’ are even more meaningless than they were. Weather changes may provide revival opportunities for northern seaside towns such as Blackpool and put new strains on roads and development in southern coastal resorts, a study in the Journal of Sustainable Tourism said. > We in New Hampshire are going to be experiencing the brunt of this “rare” snow storm (renamed by the Weather Channel as “Viner Events”…). I filled the gas tank on the snowblower. Seemed to make more sense than doing it after the storm. Got some work stuff here to take home, a definite WFH day tomorrow. hoping against hope for a fraction of a degree record warm margin somewhere in the west. The 21st, we had Snowmageddon. Over 50 cm. (20″) of the white stuff fell so fast that i had to shovel off the roof! Power went out around 2:30 pm and only came back 36 hours later. Now, how the heck those Maya knew that it was the end of time (clocks stopped) and that 3 (Mayan) days of darkness (their days start at sundown) would follow is beyond me. The CAGW crowd have an agenda based around CO2’s potential to burn up the planet. However that was tested 500 million years ago and failed the test. CO2 was around 5,700ppm which is about 15 times today’e level. If the Alarmists were right we would not be here as the planet would have burned up….but instead it greened up. Simple…the more you stack up CO2 the less heat you get. In other words the relationsip is not linear but logarithmic and we have had 75% of all the heat we will get from CO2. A doubling from today’s level will create about 1C+ of heat and a further doubling will yield less than 1/10th of 1C so no problem. If the leaks from the coming IPCC assessment are true then sensitivity will be stated at around 1.6C which is not dangerous and we would eventually expect it to be rounded down to circa 1.2C. Simple enough to understand….we can do a a colouring book with an explanation for some of the alarmists who have decided to visit us tonight. Thanks, Steven. You are correct that the data shows that for every million sq. km. of lost arctic sea ice in SON, we get about an extra million km of NH snow in DJF, or a bit less. However, the R^2 is not strong, the SON sea ice only explains about a quarter of the change in DJF NH snow. • 3/4 of the changes in NH snowfall are NOT due to changes in sea ice. • The standard deviation of the error in the historical snow estimate using Judith’s method is about 1.12 million sq. km. • The standard deviation of the snowfall is bigger than the SD of the error, 1.3 million sq. km. As a result, while we can see that there is a part of the snowfall that is related to the ice loss, the error is large and the relationship is poor … and as a result, the idea that somehow winter snowfall isn’t weather doesn’t pass the data test. Must be hiding in the same place as the Mediterranean climate that the Met Office promised us here in UK. Blinds, shutters, curtains, awnings, were all closed and drawn to keep out the stare. Grant it but a chink or keyhole, and it shot in like a white-hot arrow. The churches were the freest from it. To come out of the twilight of pillars and arches—dreamily dotted with winking lamps, dreamily peopled with ugly old shadows piously dozing, spitting, and begging—was to plunge into a fiery river, and swim for life to the nearest strip of shade. So, with people lounging and lying wherever shade was, with but little hum of tongues or barking of dogs, with occasional jangling of discordant church bells and rattling of vicious drums, Marseilles, a fact to be strongly smelt and tasted, lay broiling in the sun one day. more melted sea ice … A net positive feedback for global warming. And, indeed, at the latitude of the southern Antarctic sea ice band at 62 south latitude, MORE antarctic sea does indeed mean more reflection of solar energy and a cooler southern world and a (strongly negative) feedback on world temperatures. at the latitude of the melting Arctic sea ice at 81 to 82 degrees NORTH latitude, more exposed ocean water means ONLY that more evaporation occurs through the newly exposed (or formerly covered) ocean areas. The sun’s energy is coming in so low in the sky (less than 8 degrees above the horizon for so short a time each day in mid-September at the time of minimum sea ice extents) that no additional energy is absorbed by the water. In fact, more energy is lost from the sea surface by evaporation than is absorbed from the sun each 24 hour day. Thus, less sea ice (in the arctic) actually means lower Arctic ocean and air temperatures, more evaporation, and more snow coverage. Thus, will lower Arctic sea ice begin the next ice age? That evaporated water has to go someplace each winter. Anthony, I have some doubts about the statistics. There can not be less snow than zero as implied by the average and SD. I suspect that the snowfall at one site is approximately a Poisson distribution (as is the case with monthly rainfall) in which the SD is equal to the average ie the average should be about one SD above zero. I am not a statistician but I would think it is not correct to average snowfall occurring in different places. As Willis indicates above it maybe possible to average the area covered by snow overtime.and calculate an SD on that. I suspect that would also result in a Poisson distribution rather than a normal binomial distribution. Yup – me too. There are three things I learned after moving to New Hampshire 16 years ago. (1) Buy snow tires. And not just two – buy four. And put them on in October/November. Money WELL spent (don’t ask me how I know this…). (2) Buy a good quality, gas burnin’ snow blower. And supplement that with a quality snow shovel that keeps its edge. 12 – 18 inches of snow is NO place for just a snow shovel alone, especially when the city plow comes by and deposits a giant chunk of street snow at the entrance to your driveway! (3) Remove snow as soon as you can. If you don’t do it now, you will NEVER get the compacted ice/snow layer off your driveway until April! (also, don’t ask me how I know this…). Sometimes, this rule can be violated if you have a few bags of potent ice melt (driveway salt for you southerners… :). I hear this is set to be the warmest year ever for the US… and not by a small margin. This should be good. I can’t wait for the propaganda mill to start cranking out “the warmest year evah” while people are digging themselves out of the deepest snowpack evah. You can explain that it is all due to “global warming”. Oh, boy! l had a hint back in August that northern asia could in for a very cold winter. The jet was very weak over Russia at the time and l knew if that lasted it would let winter set in early. frozen in winter, and we were taken down into the back kitchen to see it. winters are warmer than they used to be. I have 12-16″ due tomorrow (Maine) and you know what? some years were less, some were more. … From the rest of your comments, apparently your audience lacks the critical facilities necessary for breathing. Ah, an obvious expert on physiology, neurology and general cognition. Please enlighten me: what critical facilities are necessary for breathing? I don’t mean to be critical, but are you, perhaps, indulging in some slight degree of hyperbole? I fear that someone less charitable than I would accuse you of what our beloved Christopher Monckton would term ‘intellectual baby talk”. I have faith in you though. Surely, expert that you are, you have a reasonable explanation of your remark. Surely you aren’t the idiot that the naive and unthinking would think that you are. All through this winter, I’ll be shovelling global warming in the morning. I didn’t take any bait. But apparently you are waiting under the bridge like a troll with an agenda. Eric Berne wrote wonderful books about how people talk to each other, he called it transactional analysis. I think I see all three ingredients that make up a “Game”, the hook, the switch and the pay-off. Third White Christmas in four years here in NW Texas. Thank goodness snow is rare anymore! In March 2009 prior to the 2010 Winter Olympics David Suzuki’s Foundation issued a report which predicted that the average cross-country ski season in Quebec will be cut in half in 10 years and a complete wipe out a few decades later. “Canada’s winter sports melting away, report warns” was the headline in the Toronto Globe and Mail. I recently saw a weather consultant’s report for Toronto predicting that the annual snowfall in Toronto was going to drop to 48.1 cm from 153.8 cm. It was 216 cm in 2008. These are baseless scare predictions to get politicians and the public to spend more money for climate research and green industry. 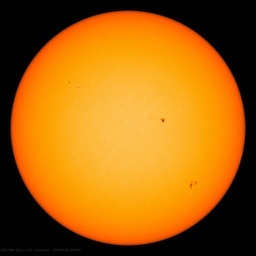 The decadal annual average sunspot number during the decade 2000 was 49 .6 For the last 10 years the annual average is only 29.3. These figures are comparable to the figures from 1880-1910 when they were in the range of 35.5 to 45.9 [per SIDC DATA]. That may be why we have been seeing all these record cold temperatures like during that period of 1880-2010 in UK, Eastern Europe, Russia and Alaska.We maybe seeing a lot more snow and colder temperatures for the next 2-3 decades if the next two solar cycles are also going to be low like #24. This reports a 1998-99 seasonal snow fall of 1,140 inches. About a 3 hours drive from where I live. There may be a new record. The point is that using the number you question is simply a mapping convention. The actual map shown only has an upper category that goes to 787 inches. Much of the season is still to come. Here at the house we have had about 2 feet of snow so far. A few warmish days and this has settled to about 10 inches. A kindly neighbor came with a large tractor and cleaned the driveway out. Now it can snow some more. Just thinking ahead. Same with the map. I thought extremes of weather were expected with AGW? I don’t get it. 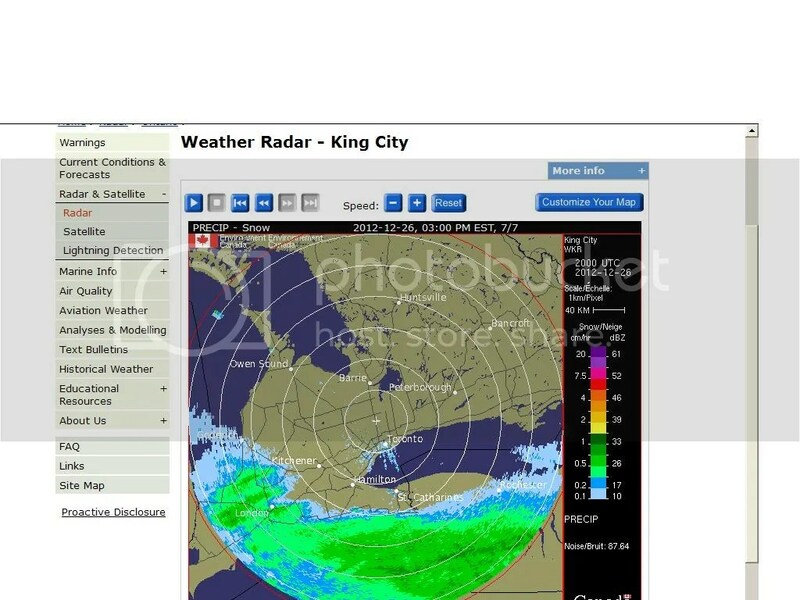 Anthony is mocking David Viner’s statement, “Children just aren’t going to know what snow is,” by showing all the snow. How is, “Weather is not climate,” even a counter-argument at all? Isn’t that actually an argument against Viner’s original claim? After a while… weather is climate. You just have to wait for it. Simon, do you know why the US has a warm spout over the Midwest and Central US? It’s because the water off CA was cooler and drier. That left drier air over the Midwest and Central states. The drought led to warmer temperatures. But of course, weather is not climate so I do not know what your point is, other than you don’t understand. Did not someone calculate that 2012 could NOT be a record year? I read that! Don’t remember where. Maybe Simon can’t remember where he heard that it would be. On the other hand, I copied a statement from the UK MET office with a forecast for 2013: They claim it will be between 0.43 degrees C and 0.71 degrees C warmer than the long-term global average. Actually, I snagged a small image and stuck it in a file called “UK Met Office 2013 warm forecast” in the hope I will be able to find it late in 2013. It might get ‘disappeared’ – nay, they don’t do that sort of thing, do they? 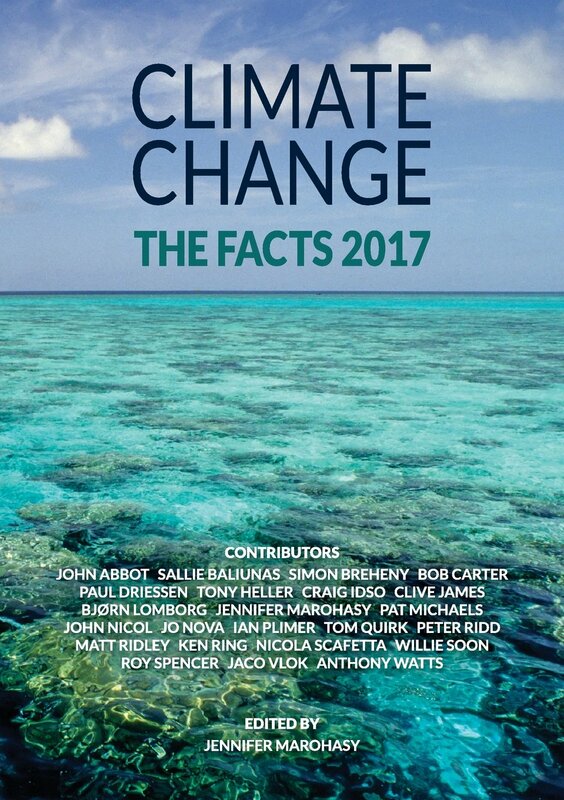 Why don’t we EVER see the climate scientists discussing the longest heat wave in history – at Marble Bar, Australia? “…Marble Bar has an arid climate with very hot summers and mild to warm winters. The town set a world record of most consecutive days of maximum temperatures of 37.8 degrees Celsius (100 degrees Fahrenheit) or more, during a period of 160 such days from 31 October 1923 to 7 April 1924. If this place is getting hotter and drier, then maybe they’ve got a point. Maybe this is the place that Dr. David Viner had in mind – I’ll bet that children there don’t know what snow is). The January-November period was the warmest first 11 months of any year on record for the contiguous United States. The national temperature of 57.1°F was 3.3°F above the 20th century average, and 1.0°F above the previous record warm January-November of 1934. During the 11-month period, 18 states were record warm and an additional 24 states were top ten warm. Most importantly, weather is climate if you can recognise the signs. Interesting observations on the inverse correlation of snow cover and length of winter. One wonders, though, if the local and the global effects of the snow cover may be different? The snow cover may locally keep the ground warm, but globally cause heat loss due to increased reflection of visible light into space. One would think that such a change in albedo would cause some sort of deep freeze, but that never seems to happen. I don’t think albedo has all that much of an effect. Some years the benchmark is a warmer globe, others it’s a warmer USA. If you look hard enough you can always locate a new record of sometype somewhere. Try this. Try keeping the target the same each year, and we “too dense to breath on our own” will give you more credibility. On the other hand, I copied a statement from the UK MET office with a forecast for 2013: They claim it will be between 0.43 degrees C and 0.71 degrees C warmer than the long-term global average. Note the bolded numbers for each data set where the lower bolded number is the highest anomaly recorded so far in 2012 and the higher one is the all time record so far. There is no comparison. With the UAH anomaly for November at 0.281, the average for the first eleven months of the year is (-0.134 -0.135 + 0.051 + 0.232 + 0.179 + 0.235 + 0.130 + 0.208 + 0.339 + 0.333 + 0.281)/11 = 0.156. This would rank 9th if it stayed this way. 1998 was the warmest at 0.42. The highest ever monthly anomaly was in April of 1998 when it reached 0.66. The anomaly in 2011 was 0.132. With the GISS anomaly for November at 0.68, the average for the first eleven months of the year is (0.32 + 0.37 + 0.45 + 0.54 + 0.67 + 0.56 + 0.46 + 0.58 + 0.62 + 0.68 + 0.68)/11 = 0.54. This would rank 9th if it stayed this way. 2010 was the warmest at 0.63. The highest ever monthly anomalies were in March of 2002 and January of 2007 when it reached 0.89. The anomaly in 2011 was 0.514. With the Hadcrut3 anomaly for November at 0.480, the average for the first eleven months of the year is (0.217 + 0.194 + 0.305 + 0.481 + 0.473 + 0.477 + 0.445 + 0.512+ 0.514 + 0.491 + 0.480)/11 = 0.417. This would rank 9th if it stayed this way. 1998 was the warmest at 0.548. The highest ever monthly anomaly was in February of 1998 when it reached 0.756. One has to back to the 1940s to find the previous time that a Hadcrut3 record was not beaten in 10 years or less. The anomaly in 2011 was 0.340. With the sea surface anomaly for October at 0.428, the average for the first ten months of the year is (0.203 + 0.230 + 0.241 + 0.292 + 0.339 + 0.351 + 0.385 + 0.440 + 0.449 + 0.428)/10 = 0.336. This would rank 9th if it stayed this way. 1998 was the warmest at 0.451. The highest ever monthly anomaly was in August of 1998 when it reached 0.555. The anomaly in 2011 was 0.273. With the RSS anomaly for November at 0.195, the average for the first eleven months of the year is (-0.060 -0.123 + 0.071 + 0.330 + 0.231 + 0.337 + 0.290 + 0.255 + 0.383 + 0.294 + 0.195)/11 = 0.200. This would rank 11th if it stayed this way. 1998 was the warmest at 0.55. The highest ever monthly anomaly was in April of 1998 when it reached 0.857. The anomaly in 2011 was 0.147. With the Hadcrut4 anomaly for November at 0.512, the average for the first eleven months of the year is (0.288 + 0.208 + 0.339 + 0.525 + 0.531 + 0.506 + 0.470 + 0.532 + 0.515 + 0.524 + 0.512)/11 = 0.45. This would rank 9th if it stayed this way. 2010 was the warmest at 0.54. The highest ever monthly anomaly was in January of 2007 when it reached 0.818. The anomaly in 2011 was 0.399. On all six of the above data sets, a record is out of reach. Now as for the latest forecast of up to 0.71 C, in my opinion, this cannot even be close! The ENSO number is down to almost 0. Depending on which data set you go by, it is either -0.119 or + 0.05 and heading down. Even if it should turn around tomorrow and become a “1998 El Nino”, it would take a few months to get that high, and if it ever did get that high, it would take more months to affect global temperatures. At 0.71, it would smash the present record 2010 average of 0.54. I understand davidmhoffer’s explanation, but 2009-2010 here in the high plains was snow covered all the way to May when…it just kept knowing. It was the first week in June before I saw any flax blooming. 2011-2012. Not an inch of snow all spring and summer was upon us by May. All that man-made CO2’s has made a big difference now? 16 years and no warming. So why exactly are the rich nations giving their wealth away again? Remind me – it’s to keep warmer but poorer countries …? Yeah, I remember years like both of the ones you describe above. They seemed to be the exceptions rather than the rule based on my recollection (and that of old farmers). But that’s why we have to go back to the data at some point and see if the correlation is there or not. My initial reaction was no, my thinking being that 1 inch of snow is white and 6 feet of snow is also white. But then I figured snow gets dirty over the course of a winter, so successive layers of snow would be whiter than one or two small snowfalls. Then there’s additional runoff which discharges colder water into lakes and oceans that might otherwise be warmer. For oceans, that implies a change in salinity in the vicinity of the river mouth. For lakes, particularly acidic lakes like those found surrounded by pine forests, there would be a change in acidity. At which point my head begins to hurt. For what it’s worth, When I was a kid growing up in Dallas, (80’s and early 90’s), I loved snow and we usually got some 1-3 times per winter. I had 3 ‘snow dreams’, if you will. 3) To have more than a few inches (like maybe a foot of snow or more on one day). In the first 25 years of my life (up until 2009), none of these happened. Now, in just the past 3-4 years, the DFW metroplex has had 2 White Christmases (this year and 09 — I believe or maybe 10), we had a storm come in that dropped a record 14 inches of snow in 24 hours, and during the Super Bowl week 2011, we had the longest period I can recall with temperatures below freezing and snow/ice on the ground for about a week straight. We had a pretty sizeable drainage pond near my house completely frozen over. Needless to say, the last 3-4 winters have been interesting for a snow lover such as myself. Don’t know about elsewhere in the Lower 48, but the upper Midwest usually, but not always, has its first big winter storm within a week of the winter solstice. Then, usually, comes a thaw in early January before the serious cold sets in. Doesn’t happen exactly that way every year. After all, weather is a chaotic system, but the general pattern repeats over time. This year the first big snow hit a few days before the solstice. Another approaches but will track south of us. I hope. Another observational confirmation of your correlation to snow cover. I used to work with a guy that was the maintenance supervisor for a construction company and remember a particularly cold and snow less winter here in the Denver Metro area, where he was complaining about the lack of snow cover and how much time he was spending repairing construction equipment that was getting torn up digging is hard frozen ground. When they had some snow cover the freeze depth was fairly shallow but this year the ground was like soft concrete to about 18 inches or so where he was working and all they were doing was putting new teeth on the buckets of the back hoes and fixing things that got broken due to how hard the ground was. Snow cover definitely changes the effective heat sink capacity of the soil, and deeply frozen soil will take a lot longer to warm up to a temperature suitable for seed germination. You might also cross reference the snow cover to soil temperature records that the agricultural folks keep to determine best time to plant each years crop so the seeds will germinate. The soil temperature as they measure it would be a much more objective measure of “when spring came” in a given local area. You would also need to include information about both snow cover and snow depth (and perhaps water content) though to get a good measure of hits insulation of the soil. I do take the figures from our Very Wonderful BOM with a grain or two of salt, but nonetheless I have noticed that when there is snow in the Northern Hemisphere, it is warm here in Brisbane, and when it cools down a bit here, they start getting warm weather. This happens every year! I’m sure it is absolute PROOF of Global Warming. I’m just not quite sure how. There must be a name for this particular trap that you just fell into, hurting your head ;) but good point about distinguishing thin and thick snow cover. If the cover is so thin that it doesn’t retain heat in the soil, its dominant effect should be negative feedback; thus, the question whether reflection or insulation is dominant applies specifically to thick snow cover vs no snow cover. I’ll try to figure it out myself, too. What to bet that it’s the warmest ever in their data, but not in the historical record of records? Hum?. Mr Mosher sure likes to engage in hit and runs. I keep thinking he could really add to a conversation, but I keep feeling that he thinks his thoughts to superior to engage in actual dialogue. At any rate, beyond Willis challenge. I find it curious that in 2007 (a record low year for N.H. sea ice)Mamoth Mountain, (a good gague for Sierra snowfall), had less then 300 inches that year. In 2010-11, when the arctic had a great deal more ice, Mammoth had almost 700 inches of snow, a record. Please don’t shame Harris too much. I enjoyed the comic relief after 5 hours of driving through snow to return home after the holidays. With here you mean Brisbane. Does it ever get cold in Brisbane…? And let’s not forget what fuel-poverty and cold results in: people burning all manner of materials in their fireplaces for warmth! Think I can take a walk in fresh, crisp, clean air just a day after 4 inches of snow fell north of Dallas Texas? Guess again .. I have to hold my breath if I go outside and the wind happens to come from certain directions … WE DID NOT HAVE THIS GOING EXC IN THE PAST FEW YEARS!! I really like this website but I kind of get dismayed when people belittle somebody like Shane Harris or Simon. I always think that sort of behavior is what we can expect over at Skeptical Science, In most cases WUWT does take the high road and simply “Gives us the facts, Mam”. If the idea is to win the hearts and minds of the people who have creeping doubts, then showering them with abuse certainly isn’t going to win many converts, no matter how good it makes us feel. If somebody is reading this web page, they probably have some doubts about AGW hysteria. If they throw out some trial balloons to see what sort of response they get from WUWT readers and that response is innuendo that they are a moron, well that is another potential convert lost. It seems to me that Kev in UKs response to Simon was exactly wrong. I would think that the more people like Shane and Simon who read this blog, the better. It is so easy to respond to their points in a factual way, with perhaps just a hint of sarcasm, that we shouldn’t feel at all threatened by their comments. So I don’t know, Kev in UK, lighten up a bit. Simon was mouthing an oft repeated mantra and he needed education, not to be told to take a hike. Here in Wales it has been raining with a few short breaks since last February. No snow yet Apart from the impact on the wellbeing of Welsh citizens, it caused huge damage to our housing and countryside. After 10 months it still maybe weather, but it is by far the wettest year on record . There is something going on, maybe not what was predicted, but it is pretty awful all the same. Have a good New Year and hopefully a dry one. It is so obvious that most of you have over indulged this Christmas. Please come back with enhanced sobriety in the New Year and be nicer to the warmists. They have a long cold climb down ahead. Don’t push them, just give them a gentle helping hand. I will have another load of global warming to shovel off the driveway today. huhhh. 7 inches snow in western MD yesterday, 3 inches a couple days before that. Unfortunately it didn’t plaster Wash DC — the hot-air-dome destroyed it. Pure-white snow is very un-PC there. Yes, but don’t go too far south or the record ice accumulation of Anarctica will turn your clever jibe into a snow cone. Just imagine the wailing, crying, and teeth-gnashing blared by the MSM, and spurred on by the usual Climadamuses if the snow extent were only 1/3 or less. It would be added to usual litany of disasterous-type weather, icecaps melting, fires, floods, etc. etc. as still further “proof” that we must act now to destroy our economy and go back to living in caves, huddled over an open flame spewing ACTUAL pollution into the air. Thanks, Mother Nature. You’re a trooper. On NOAA’s website the main page declares that November 2012 was the warmest in the US on record. Funny, they failed to mention East Asia, Siberia and Eastern Europe (one of the coldest in decades). Nor do they mention the continued cool Southern Hemisphere. As a matter of fact, the US enjoyed a fairly warm December as well (discouting Alaska, which saw temps plunge to -52F in many locations). In those years where the NH had a very cold, snowy, and dynamic winter (many classic blizzards), the Artic was actually warmer than average. I still remember the winter of 83-84, where in Central Canada it was so cold that warm fronts approached from the North (ie Artic Circle) and not the south. For a week, the Siberian Express occured, where deep polar air masses traversed the North Pole and dove southward into the Great Plains. During periods where the AO is very negaitve, the polar source regions are pushed equatorward – that is, the Artic actually is warmer than normal. But, The Polar Vortex is pushed into the Hudson Bay area, while a strong dome of high pressure anchors itself in Greenland (and Greenland see warmer than normal temps). The moral of the story is that it is rare that every place is bitterly cold at the same time. And if a strong negative AO comes in phase with a strong negative NAO, watch-out. well it looks like I am getting 18 inches of snow today, 25 deg with 35-45 mph winds. I want some global warming. “Heads I win, tails you lose”. And that snow in the Snowy Mountains was just further PROOF of Global Warming, wasn’t it? Two or three weeks ago, two thirds of Europe was covered in snow and temperatures were very cold indeed. Now we have SW – W gales, mild weather and all the low level snow is gone. Will the US suffer the same fate or is it cold for America this winter as Europe has a mild one again? A weather forecaster on BBC World News declared this to be proof of Climate Change. This rather canny change in title means it is “heads we win, tails you loose”. The 2012 end of era prediction has come true in the extent that the wool is no longer pulled over our eyes. If you refute this come to southern Australia in 2013 as it is the final year of snow. According to the computer models. We all know models override reality because observation is irrelevant without a PHD in Conformity . for some parts of Europe. Parts of Russia this winter have seen the coldest winter for 70 years and coldest since 1942, the year of the siege of Leningrad. Global Warming is here to stay and any snow you are wading through is merely a figment of your imagination. @Skeptik: Brilliant statement. Do you have anything substantial to offer… Or simply a drive by sarcastic commenter? A more recent map. Where’s the global warming?? I don’t get it. That’s a thermal map from Dec 28 to Jan 3rd. Is it a prediction? Where is global warming? I reckon it is somewhere in the globe, and not just that inconsequentially small and unimportant fraction known as the USA. You know – GLOBAL warming, not american warming. But then, 2012 was the hottest year ever for the USA. Want to comment on that, or doesn’t it fit with your ideology? Move to Australia and see how damn hot it is. @Mandas: It was warm in the middle of the US because of the cold air over CA. It was colder than normal in CA this summer. That cold dry air due to the colder than average water off our coast dried the air. The dry air over the middle of the country left them in a drought. Dry air warmers faster. Are you following? Do you understand that the drought led to warmth… not the other way around? Never before in recorded history has Australia experienced 5 consecutive days of national-average maximum temperatures above 39 C (102.2 F). Until today. This heat is expected to continue for another 24-48 hours, extending the new record run to 6 or even 7 days. For context, the previous record of 4 days occurred once only (1973) and 3 days has occurred only twice (1972 and 2002). Is there not an old saying, when winter rises in the northern hemisphere, summer comes to the sunburnt island continent of Oz, in the southern hemisphere. That is, the same four seasons of the northern hemisphere arrive in reverse order down in the southern hemisphere. Such is life, living in a world that has a tilted axis of rotation, giving us a 24 hour day, as it revolves around the sun in one year or 365.25….. days.